Hello and welcome to Truth or Myth. In today’s episode, we’re taking a look at the battle of Wolf 359 and the surrounding events to give an accurate and detailed account of how that battle reshaped Starfleet and the Federation forever. One of the Most Iconic and defining moments for Star Trek: The Next Generation, the Battle of Wolf 359 would redefine the United Federation Of Planets in a way no one could ever have predicted. Season 3 of Star Trek: The Next Generation saw that series come into its own as a force to be reconned with and a worthy successor to the Star Trek Legacy. Having dumped the pompousness of the First season and the Irrelevancy and coldness of the Second season, season 3 began to reshape the Trek Universe in its own image. And to mark this change the powers that be decided to have a cliffhanger to end the season. And having planned the borg arc for so long it seemed like the perfect time to implement it to it’s fullest extent. In season 1 the Borg are touched on in the Episode The Neutral Zone, where both Federation and Romulan colonies have seemingly been scooped up into nothingness. Thinking it was Romulans back at work again Starfleet Sends the Enterprise D to investigate. Then in season 2, Q decided to accelerate Starfleet’s encounter with Borg by actually flinging them right into the path of a cube. Picard quickly realizes the Borg are an enemy that Starfleet is not only unprepared for, but also that humanity had grown arrogant towards the dangers that come with exploring unknown Space. In preparation for the inevitable confrontation, Starfleet begins to develop new strategies and new technology to the combat the Borg. Unfortunately, after a little over a year, Starfleet was simply not ready for the encounter, and that was a mistake that would lead to tragedy. There’s a lot of problems with Starfleet in the Season 1 and 2 and of course before, Era of Star Trek. Somehow, along the way, Starfleet had begun to believe in its own superiority and as such began to slack in the areas of Defense in favour of scientific endeavours. 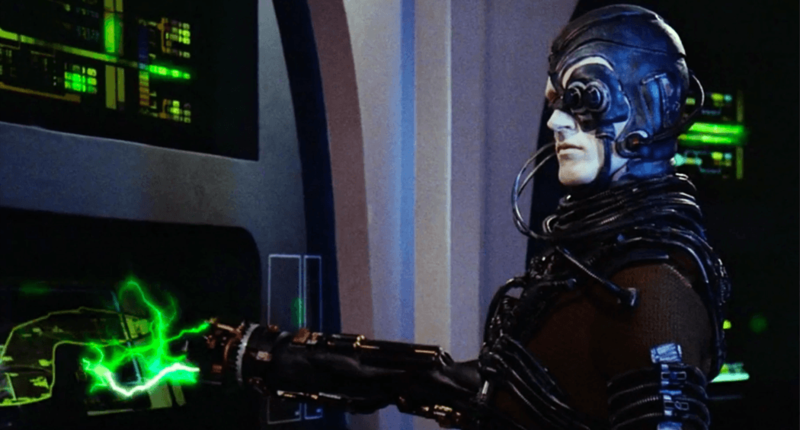 No one could have predicted the Borg really, and after Peace with Klingons and not a peep from the Romulans for 70 years, Starfleet let itself get comfortable with the status quo. And that status quo for them was peace is inevitable and we can handle anything that comes our way. You see, Starfleet had forgotten the lessons learned in Kirk’s Era, about how Klingons and Romulans were hiding behind each Nebula ready to attack, or how a Giant space hand could simply swat a starship out of existence. It really was a golden age for Starfleet, with lots of hope for the future with very little danger. Flash forward to Q forcing the Borg encounter and you have a Starfleet that just doesn’t know what to do since no one had had to cope with any situation like that in 75 years. This is collaborated by Admiral Hanson when he tells Picard about how basically confusing everything was in regards to the Borg after Picard reported back. It took a fresh younger officer named Lt Commander Shelby to cut through all that red tape and start Starfleet on the track to be ready. But things don’t just change overnight. And Starfleet, thinking it had more time and still used way thing were done, was STILL very slow to respond to the threat. 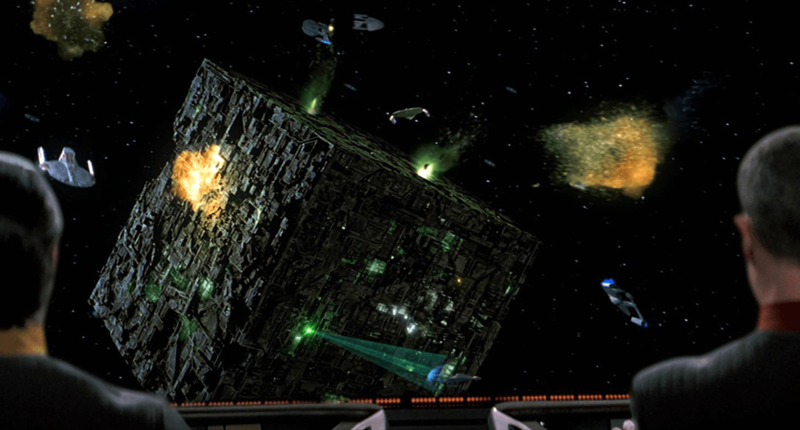 I can picture a room full of admirals discussing the Borg weekly, with status updates, quibbling over minor details of new ship designs and defensive upgrades. Well, maybe this new Defiant shouldn’t look so militaristic? Maybe this new Intrepid class should be able to include families. And of course, it wasn’t until a Borg Cube loomed over Earth was Starfleet ready to dump all the old conventions of how things were done in favour of a new more simplistic and relatively successful way. A writers trick that always infuriates me is the one I call, 1 Starship, 1 intercept. It’s basically where even though we’re in the heart of the Federation, only 1 ship is in interception range on a hostile, See Star Trek The Motion Picture. Though dramatically great, realistically it doesn’t fly. 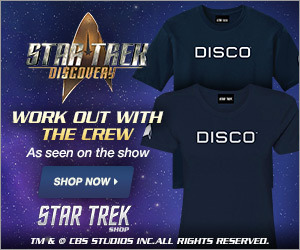 Sure the Enterprise D being out in deep space encountering the Borg ship to play for time I can accept. But in the core of the Federation, the Admiral could only get 40 ships together? Starfleet is made up of thousands of ships, so where are they all? The Core MUST be filled with Oberth and Miranda Class ships right? yet only a few take part in the Battle. It just doesn’t make sense. When watching the episode Best of Both Worlds Part 1, it seemed like anything could happen. And really many shows have since played or parodied on the emotion that the Ending with the 2 is continued created within the fans. Even Patrick Stewart didn’t know what was going to happen in Part 2, he’s often quoted as saying for all he knew, they were going to kill his character off. But thankfully that wasn’t the case and the Next Generation Crew was restored to the whole by the end of Part 2. Starfleet and the United Federation Of Planets got the kick in the backside it needed after that near defeat and immediately stepped up its development of new, very powerful ships to be able to handle any threat but mostly to be able to handle the Borg itself. Along the same lines Starfleet designed and built and the Saber, the Akira AND the Intrepid classes. 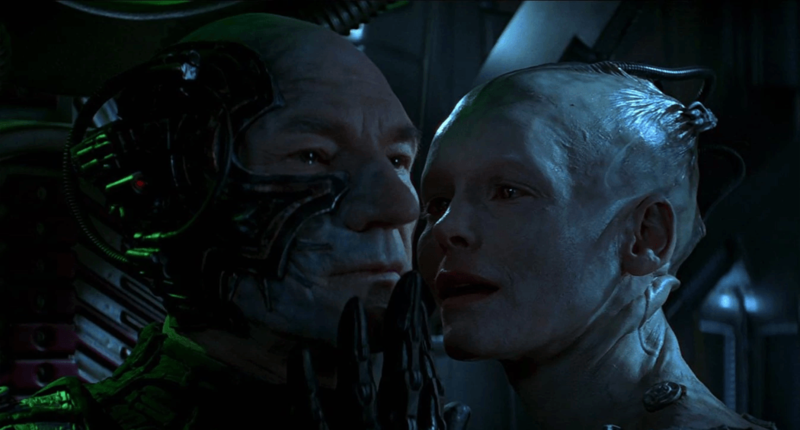 Of course though, as the Borg threat became a more distant memory, Starfleet began to pull back from the whole warship idea and re-redesigned classes like the intrepid to also be scientific in nature, giving us a tactical/ science hybrid, that was good luck for Janeway and Voyager wasn’t it? But ultimately even those that held out the longest couldn’t ignore the new threat posed by the Dominion and as such, Starfleet changed its outlook completely… Opting for more TOS Era types of ships. A sort of Jack of All trades starship designs where said starships could be used in any situation for any purpose. The Prometheus Class is one such example, is designed for deep space tactical assignments by being able to separate itself into 3 smaller yet tough little ships, the Prometheus class also would be used for Deep Space Scientific missions. But of course, the Starship Class that really broke the mould was the Sovereign Class. 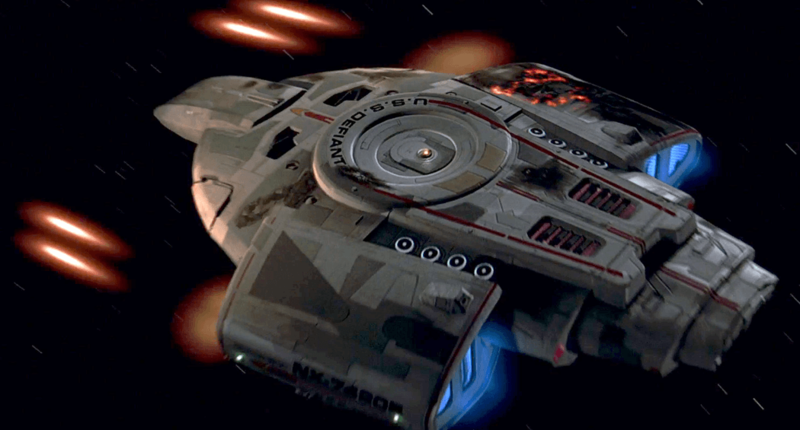 This ship was originally designed with one purpose and one purpose alone to engage and defeat the Borg. So it was not only Ironic but also fitting that The New Flagship of the Federation, the Enterprise E would be of this class. The Sovereigns were the fastest and strongest ships in the Federation. And this can be seen in the Second Borg Battle, The Battle of Sector 001. 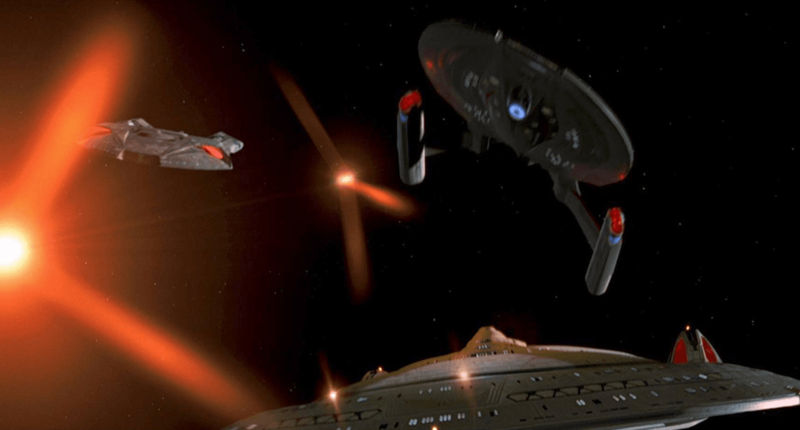 Where the Enterprise E shows up to the party and is barely affected by Cubes weapons. To match Starfleet’s new outlook on life, there were many other changes also implemented. Starfleet uniforms got an upgrade to a more militaristic look, with the undershirt now being the department colour as opposed to the bulk of the main shirt. Starfleet bridge colour palettes went back to stark colours as opposed to being neutrals. And as far as we can tell, no other class of Starship to house families was designed at that time. 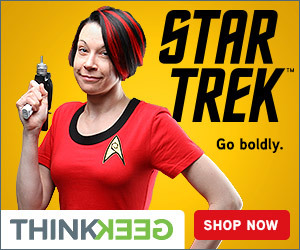 Starfleet didn’t just stop there though. It seems it decided to look at all previous Starship already in service and upgrade them to be a force to be reconned with. This can be seen in The USS Lakota, an Excelsior Class starship, that one on one with the Defiant was able to pretty much hold her own against her now. 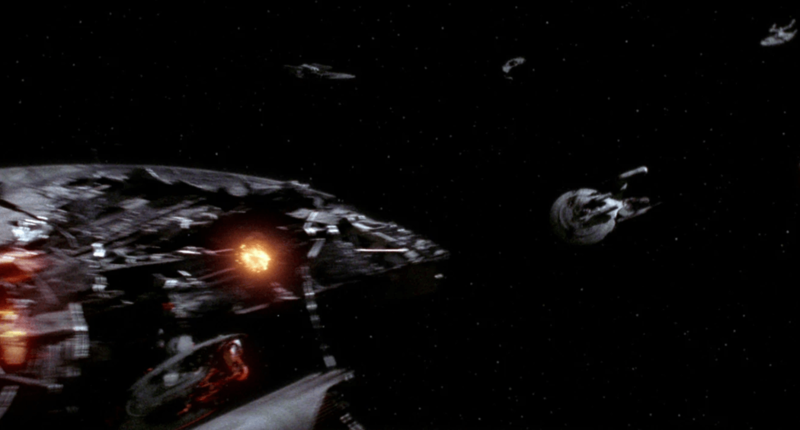 And the Galaxy Class received the needed upgrades to make those ships a formidable opponent. This is demonstrated by how easily the USS Odyssey was destroyed during the first engagement with the Dominion, versus the Galaxy Class Starships we see later on in warfighting and taking all the punishment the Dominion can hand out. So with all that the only conclusion someone can come to is that Starfleet realizing the mistakes it had made during its golden age of Starship design took a step back and remade itself in to a fleet that cannot only explore new worlds and civilizations but also protect those new worlds from any threat that they could encounter. Thank for watching today’s episode of Truth OR Myth, I hope you enjoyed it. have something you’d like to add? Leave a comment in the section below, and don’t forget to like and subscribe to the channel so you would miss a single released video! Thanks again for watching. ← The Final Frontier – We’re BACK!